To provide the very best soccer officials, for the love of the game. The Antelope Valley Soccer Referee Association is the premier soccer referee association in the Antelope Valley serving the cities of Lancaster, Palmdale, Acton, Santa Clarita, and Quartz Hill for over 40 years. The Antelope Valley Soccer Referee Association (AVSRA) is a part of the US Soccer Federation state region, Cal South. AVSRA Referees are USSF trained enabling them to referee all USSF sanctioned matches. AVSRA also supplies referees for those matches not sanctioned by USSF including middle school soccer, private leagues and private futsal leagues. 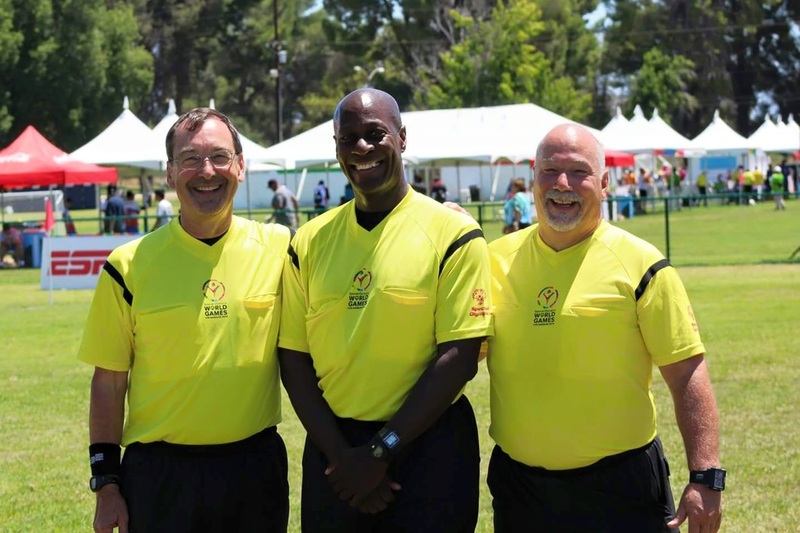 AVSRA is one of the most diverse referee groups in Southern California. Our referees come from different backgrounds and occupations, which enable us to be one of the best in Cal South. We strive everyday to perform and produce quality officials for every match we officiate. We strive to ensure safety of all players as well as an abundance of enjoyment for all involved in soccer.